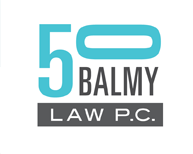 Preeminent nationally and internationally, 50 Balmy Law enables creative and inspiring people, artists, activists, social entrepreneurs, unions, and select major arts and entertainment companies to protect their creative assets, pursue their vision, and keep their mark on the world. The firm provides creative, analytical legal solutions and advocacy in art, nonprofit, event production, entertainment, copyrights, trademarks, and publicity rights law. Our hallmarks are careful attention to client needs, strategic thinking, and deep, incisive knowledge of the law and current legal trends.